In recent years, the controllable preparation of silicone xerogel nanofiber without the addition of a carrier polymer is becoming more and more attractive. The methyltriethoxysilane (MTES) sol prepared using MTES/H2O/ethanol in a molar ratio of 1:5:6 under acidic catalysis conditions has excellent spinnability in a long span of spinning time. Further, pure silicone nanofibers with different gelation times were prepared by electrospinning. 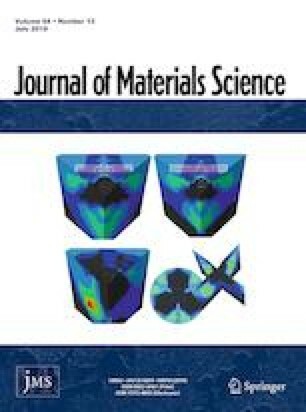 The influence of gelation time on the colloidal particle morphology and size, cross-linking degree, and viscosity of as-synthesized silicone sols was studied in depth with SEM, DLS, and ATR-FTIR, and the effects on the morphology, hydrophobicity, and thermal stability of as-prepared xerogel nanofibers were also determined. As the gel time increased, there was a higher increase in the colloidal particle size, cross-linking degree, and viscosity of sol. The xerogel nanofibers with long gelation time exhibited higher hydrophobicity and thermal stability due to sufficient hydrolysis and condensation. The optimum gelation time was approximately 200 h, and the optimum viscosity range was in between 300 and 1000 cp, which were obtained for stable fiber jet and for preparing uniform and continuous xerogel nanofibers with excellent physical and chemical properties. The online version of this article ( https://doi.org/10.1007/s10853-019-03629-y) contains supplementary material, which is available to authorized users. This study was funded by the National Natural Science Foundation of China (Grant Number 21374008).